RAT, as we all know, is Remote Administration Tool. 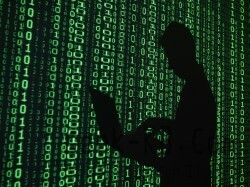 A tool which is used to hack computers remotely. It is mostly used for malicious purposes, such as controlling PC’s, stealing victims data, deleting or editing some files. You can only infect someone by sending him file called Server (Agent) and they need to click it. Today in this article I am going to share one more RAT called “NjRat” which allows us to hack and steal information of victims. Rat software resembles a keylogger but it has many advanced features as compare to any keylogger like you cant control others computer using keylogger except Sniperspy Keylogger, but by using RAT software you can easily control any computer / laptop, you can also create modify, delete files in your victim computer and many more..
Free Download NjRAT to hack Computer or email account password. Hostname : Choose anything you want. Here, I have used- wildhacker. 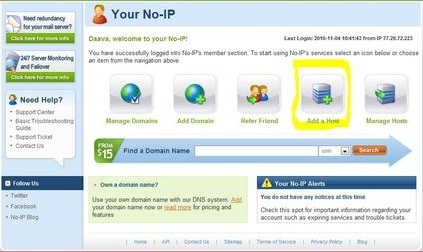 From the adjacent drop down box, select “no-ip.biz” (Don’t use any other or it may not work). Leave all things same and hit on “Create host”. Hit on checkbox just besides your host created in Step 4 and hit on Save. That’s it. 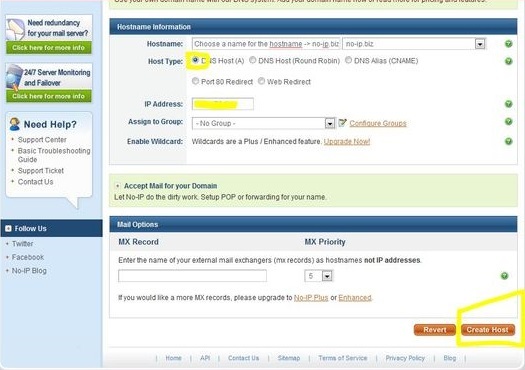 You have completed setting up free No-ip host. Host : Host name which you have created in step 3. Victim name : Enter anything you want. Exe Name : Enter anything you want. And finally select option Randomize Stub. 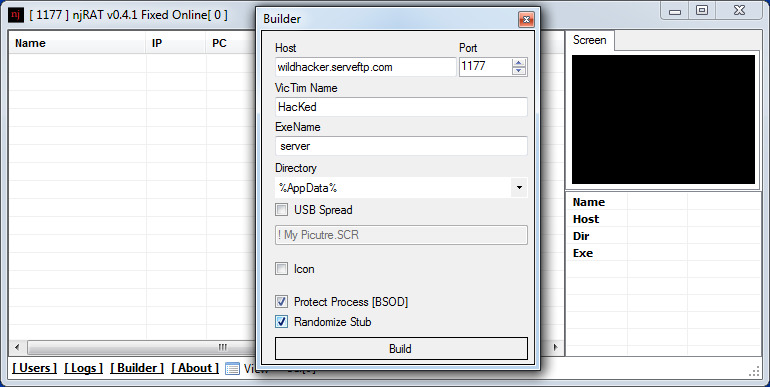 Now click on Build option to create server file. 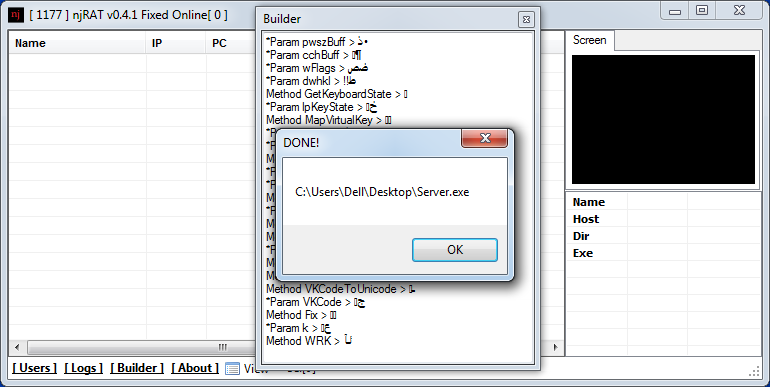 Now all you need to do is just spread that server file, then, when a victim runs the executable – the remote PC will automatically connect to your PC. After that you can do anything you wish in your victim’s machine. I hope you liked this article, please feel free to leave comments or ask questions. I favor the dear info a person present for a posts. I’m going to search for your blog post along with analyze once more right here generally. I am relatively confident Let me discover a good amount of completely new goods listed here! All the best . for the! the moment this time I am visiting this website and reading very informative posts at this time. Appreciate a good writeup. This the simple truth is was once your amusement bill this. Peek difficult to significantly supplied gratifying by you! Having said that, exactly how should we talk? Please contact us at Admin@geek-kb.com . likely be a lot more helpful than еver before. I don�t even know how I ended up here, but I thought this post was great. I don’t know who you are but definitely you are going to a famous blogger if you are not already ;) Cheers! Really superior day, this is the actually superb internet site, I’ve plummeting in adore studying many from the posts and threads contained after the location, sustain the good operate as well as hope to learn a lot more exciting articles from some time to come.